I came to The Clientele way after their inception, but like any classic act that has formed their own distinct sound and learnt to run with it, sooner or later they return in lapping waves and pull out another devotee or two with each retreating tide. 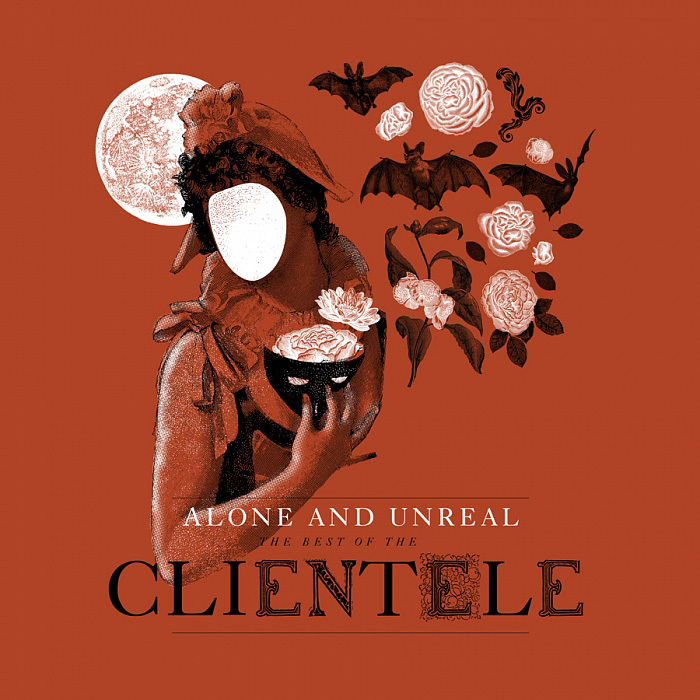 As of September 4th, Alone & Unreal: The Best of The Clientele will be available through Pointy Records, alongside reissues of the bands five previous albums, allowing a whole new audience to be caught up in the backwash. 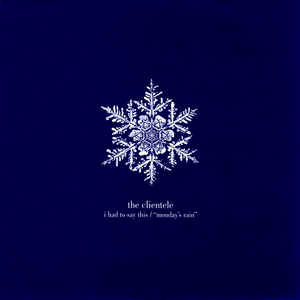 With their debut dropping just after the millennium, The Clientele developed a closer cult following with every record, much like label mates and collaborators Lampchop, as their knack for reeling off effortless, shimmering slices of 60s nostalgia and unusual use of surrealistic language charmed audiences in the UK and more notably, in the US. For some detached and disenchanted listeners their music echoed like a rallying call, as each lyric dreamt up images of glades, rivers, empty streets and sidewalks. And a lot of rain. From what I can gather, Alasdair MacLean spent the whole of the 00s completely drenched. 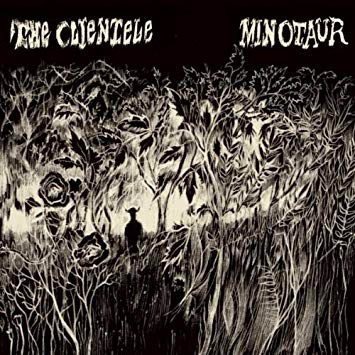 Cherry picking from their back catalogue, Alone & Unreal saunters through The Clienteles history and places each albums finest moments (excluding 2010s mini-LP, Minotaur) under close inspection. Reflections After Jane opens the compilation; the folk-infused, softpsychedelia that comes trickling through is instantly recognisable as 60s, so much so you almost find yourself expecting the gentle caress of congas or Tablas to begin, like a Tim Buckley lullaby, but instead MacLeans smooth tones draw in. After that the only continuing comparison between the two artists may be in the lyrics of both Alasdair and Larry Becket (Tim Buckleys co-songwriter and poet). Like leaves caught in a gale, MacLeans words drift and turn with the music, to create this lonely landscape, this isolated yet enveloping separate sense of space so often referred to by critics when describing their music. They fuel the flawing, forlorn beauty of Since K Got Over Me, Theres a hole, inside my skull, with warm air blowing in you could reflect and write something of this length on lines like that alone. The masterfully composed Never Anyone But You builds to a chorus that just loops around the simple poignancy of I can only see you, as if the figure narrating has completely lost their train of thought as they gaze into the face of another. The compilation triumphantly wraps up with 2014s single On A Summer Trail, which goes to prove The Clientele have still got plenty more pensive, pop-gems tucked away. Really what Alone & Unreal does, is it acts as a snapshot, much like the fading, underexposed photograph in Losing Haringey, of a band that can evoke seemingly conflicting states of emotion: of wonder and despair curiosity and impassiveness, eeriness and warmth at a moments notice. Every art form, in every era, has its great lost talents. Individuals blessed with sublime ability that somehow, for reasons often hard to quantify, fail to connect with the wider audience their work so richly deserves. Sometimes the next generation can be more amenable. Take for example The Velvet Underground. During their recording career Lou Reed, John Cale et al never even made it into the Billboard Top 100 albums (best showing, a meagre 129 for The Velvet Underground and Nico), yet within a couple of decades they were revered as one of the most influential rock acts of all time. Comparing Hampshires The Clientele to such giants of the past may seem pure hyperbole, with the odds of them achieving Velvets-like legendary posthumous status admittedly pretty long. Yet those in on the secret will get the point. For the past 15 years, this largely unknown group, led by singer-songwriter Alasdair Maclean, have quietly assembled a back catalogue of such sublime loveliness its hard to think of another British band of recent vintage who can match them when it comes to perfectly formed, melancholy guitar pop. 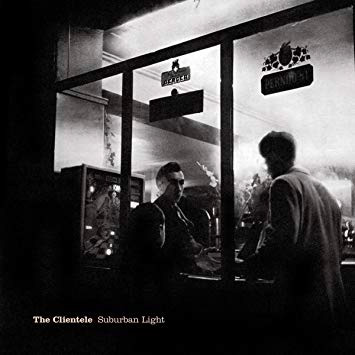 Formed as far back as 1991, it took The Clientele until 2000 to release their first album, the compilation of singles Suburban Light. A record of effortless, shimmering beauty, it established the ingredients they would go on to deploy with consistent brilliance over the ensuing decade and more; hazy but intricate guitar arpeggios and a wonderfully subtle rhythm section providing a hauntingly atmospheric backdrop to Macleans whispered, poetic vocals. Imagine a soundtrack for being sat alone in a room late at night savouring a glass of fine wine, with the soft light of the moon glowing over the empty street outside, and you will have some idea of the unique quality this very special group possess. Whittling down The Clienteles six albums and numerous singles and EPs to an 11 track Best Of was never going to be an easy task, but by and large Alone And Unreal does the job well, with all stages of their career represented. Early favourites like the almost unbearably gorgeous, gentle psychedelia of Reflections After Jane and the hypnotic We Could Walk Together (which bizarrely recalls the James Bond theme music in its final notes) are joined by later, more conventional up tempo pop like When K Got Over Me and Bookshop Casanova. We get blissful love songs (The Queen Of Seville), wistful reminiscing (the spoken word delight that is Losing Haringey) and marvellously evocative orchestration (Never Anyone But You). Theres even one (almost) new song 2014s On A Summer Trail, which although arguably the weakest thing here, is nevertheless evidence that The Clientele still have plenty left to give. Alone And Unreal serves as an excellent introduction to The Clienteles music, but for existing aficionados it may be tinged with a slight sense of disappointment. Selecting favourite tracks by any artist is of course a very personal thing, yet the lack of airtime given to The Violet Hour, widely considered to be the groups finest album (only one track, Missing, is included here) will undoubtedly irk some, while the absence of the sensational Saturday, in this reviewers humble opinion the finest four minutes The Clientele have ever produced, is quite simply a criminal oversight. With a couple of judicious tweaks to the song choices, this retrospective could have been truly great rather than simply very, very good. 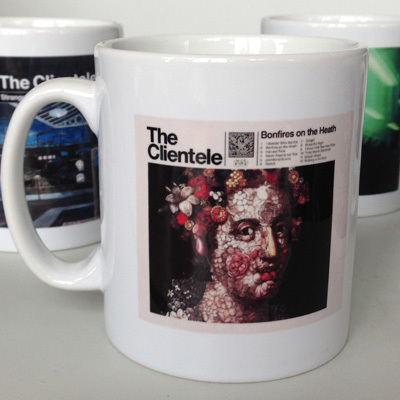 The Clientele should be a name you recognise. Formed over two decades ago, two school boys playing together turned into a band of four (these days, just three), which has shared the good times, and struggled through the difficult years together. To be honest, this London band, originally from Hampshire arguably received more success and acclaim in America, though many Indie bands from both sides of the Atlantic list them as an influence. Essentially they no longer exist, and havent for many years after they announced an indefinite hiatus in 2011. But they have been known to occasionally endorse an album reissue or reunite for some one-off gigs. 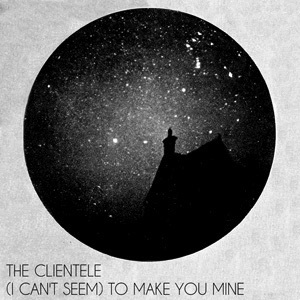 For fans of The Clientele, 2015 is shaping up to be a year of note due to the release of their album Alone & Unreal: The Best of the Clientele, yes, theyve joined the small group of indie bands who have released a best of album. It features tracks drawn from most of their releases over the past decades. The album has been put together well. Of course, these sorts of albums tend to be controversial in terms of the songs picked to feature, no combination will keep everyone happy. However, the chosen track listing works well and seems to mostly flow logically. The album is not merely a combination of all their singles from over the years, but a handpicked collection of songs that form an overall picture of an illustrious career. Their music is a sort of distant, melancholic pop, and their songs are often underpinned by a feeling of sadness; for example, The Queen of Seville ends by melodically repeating the line Its going to be a lonely, lonely day. But that doesnt mean they cant also be uplifting; the bright, clean guitar is a reminder that this is pop music and its not all so bad. There is a strong reminiscent mood to the songs on the album, which is fitting considering it is essentially looking back at what they have achieved. Listening to their back catalogue shows the progression of the band, from the remnants of school boys obsessed with Felt and The Zombies, to the polished indie pop outfit that they became. It is interesting to see snapshots of such a career pulled together in one place, on one easily accessible album. As the title of this album rather hints at this is a Best Of album featuring, well, not the hits because there hasnt been any, but tracks from each of their previous five albums. If youve not previously had the pleasure, then this album is a great entry point for a band who play poetic and wistful, 60s tinged, cagoule pop which has a day-dreamy, Belle & Sebastian element to it. Its all rather beautiful. Like Galaxie 500 before them and Beach House in the present, The Clientele have perpetually - and unjustly - been tagged with one the laziest, most trite of critical platitudes: the one-trick band. 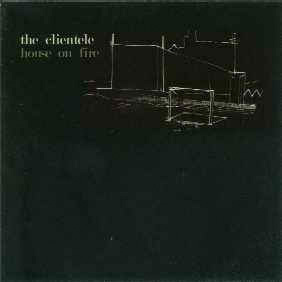 While that label really is rather ill fitting, the career-spanning retrospective 'Alone and Unreal: The Best of the Clientele' serves as a potent reminder of just how discreetly revelatory the group's primary method of operation has always been. Generally, the music collected here expands upon the moodier, more ethereal side of '60s psych-pop greats (The Beatles, The Kinks, The Zombies, Love, etc.). By honing in on the arcane aspects of their unimpeachable influences, The Clientele arrived at a sound that remains deeply comforting in its familiarity yet continuously engrossing because of its manifold mysteries. Though it could be argued that this hypnotic band was in some ways the product of a post-slowcore/shoegaze era, their output retains a kind of purity because it was largely undiluted by indie norms of the '90s and 2000s. The first side of 'Alone and Unreal' is indeed a peerless run of soft-focus, paisley-hued dream pop, though the second half of this collection will perhaps help dispel the notion that The Clientele were averse to experimenting with their formula. A disco pulse enlivens the swooning, introverts-only come-on 'Bookshop Casanova'; the Lennon-esque 'Harvest Time' is a bewitching countryside gothic; and 'Losing Haringey' represents The Clientele's very own entry into the lysergic spoken word sub-genre, a tradition of trippy short stories set to music that can be traced directly back to The Velvet Underground's 'The Gift.' Yet even the band's signature soft-psych pearls are not without their gambles, as proven by the show-stopping 'Since K Got Over Me', which effortlessly lifts a twinkling melody from The Crystals' 'Then He Kissed Me'. 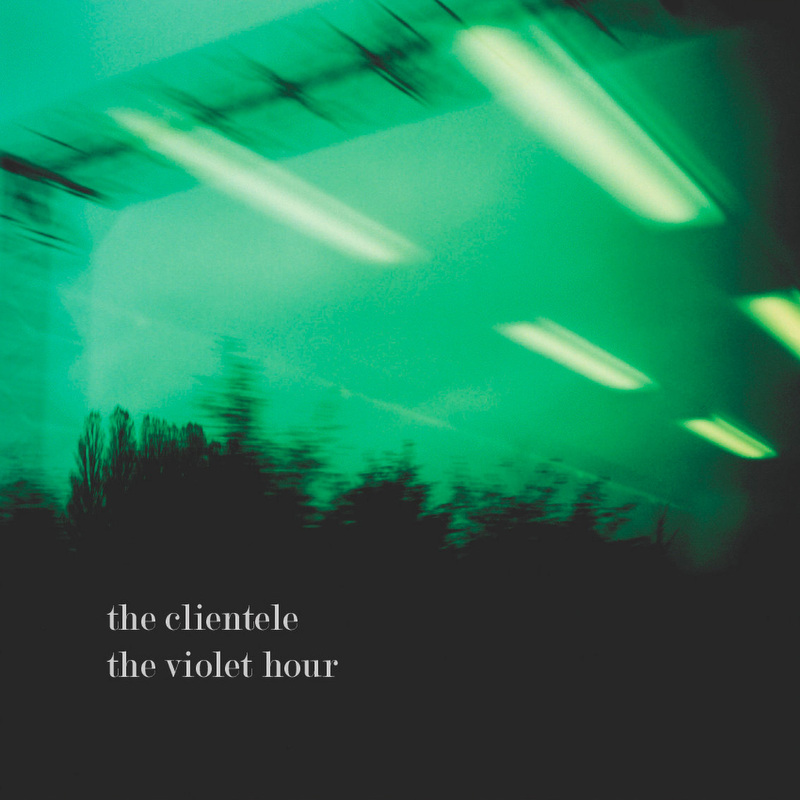 Of course, with just eleven selections to 'Alone and Unreal', there are a number of casualties - some of the finest early singles are sorely missed, there's but one cut from the undervalued 'The Violet Hour' LP, and the band's EPs and mini-albums are completely ignored. Additionally, while the baroque 'On a Summer Trail' is presumably the "new song" referred to in accompanying press notes, the faithful will probably have noted that it quietly surfaced as a single back in 2014. More pressing, perhaps, is that the very notion of a "best of" release is seemingly at odds with a band that treated sustained atmosphere like a hallowed pursuit. But similar to 'Suburban Light', the 2000 singles compilation that first drew many to The Clientele, 'Alone and Unreal' is remarkably cohesive, and it would hardly be surprising if the uninitiated were to mistake this for a proper studio full-length rather than the patchwork it is. Though it covers a period of 15 years (1999 to 2014), the entire album is unwaveringly nostalgic and melancholic, suburban in its mellowness, but attuned to a pastoral speed of life. 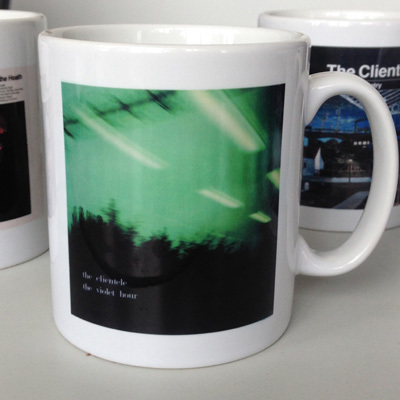 Ideally, this set will serve a purpose similar to 'Suburban Light'; namely, to introduce a generation of listeners to one of the most sublime guitar pop bands to have graced the turn of the Millennium. 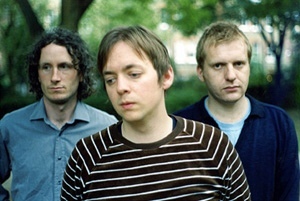 Since they began releasing records in the late '90s, the Clientele have been responsible for some of the most haunting, most pristine, and flat-out best indie pop imaginable. After a listen to Alone & Unreal: The Best of the Clientele, the case could easily be made that the group may be one of the best bands of their era period. Rankings and history aside, the collection gathers songs from each of the band's five albums, plus a song from a 2014 single, showing their progression from a spare, three-guys-in-a-bedroom-sound to the expansive string- and horn-filled experience they became in the end. Each step along the way has its thoroughly autumnal delights, chief among them Alasdair MacLean's vocal and his unique guitar picking. The way that his playing syncs perfectly with the intuitive drumming of Mark Keen and James Hornsey's melodic bass style is always truly delightful. (The addition in later years of multi-instrumentalist Mel Draisey was another snugly fit piece of the sonic puzzle.) Whether they were slowly strumming through achingly fragile ballads like "Harvest Time" or "Missing," waltzing through beautiful midtempo songs that feel like long walks through leaf-strewn country lanes ("We Could Walk Together," "Never Anymore But You") or, very occasionally, getting the feet moving, as on the propulsive Northern Soul-influenced "Bookshop Casanova," they always struck exactly the right note. It's hard to pick favorite high points of the band's career, though it's hard to deny the intensely emotional one-two punch of "Since K Got Over Me" and "(I Can't Seem To) Make You Mine," from the transitional Strange Geometry album that first saw them working with a producer and expanding their sound with keyboards and strings (which were arranged by the band's secret MVP Louis Philippe). Alone & Unreal: The Best of the Clientele is a well-chosen, emotionally powerful selection of songs that works well as an introduction to any poor soul who may have missed out on the group the first time around, but it also works perfectly as a summation of one of the most enriching musical experiences of the guitar pop era. Last week, I talked about Lou Barlows new album as being autumnal. This week, I have another sign that the weather is changing. 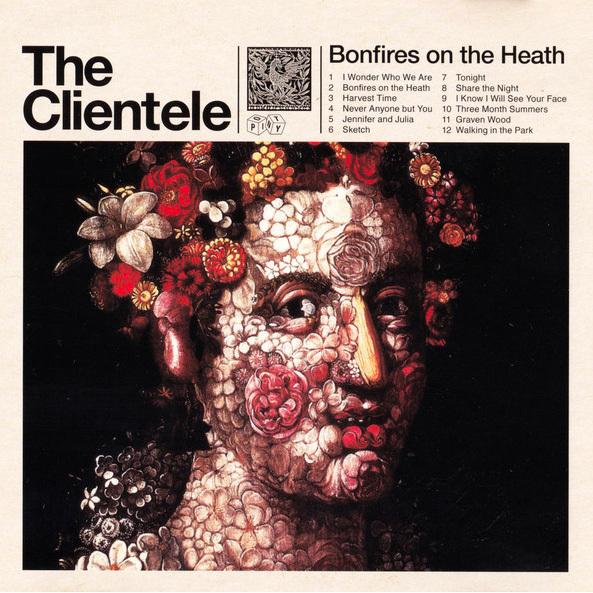 Londons the Clientele are releasing a Best Of album (complete with a download to a lost album from an earlier incarnation of the group) and, if you know the Clientele, youll know that they are the ultimate fall band. (Heck, they even have a song called Harvest Time, which appears on this greatest hits compilation.) 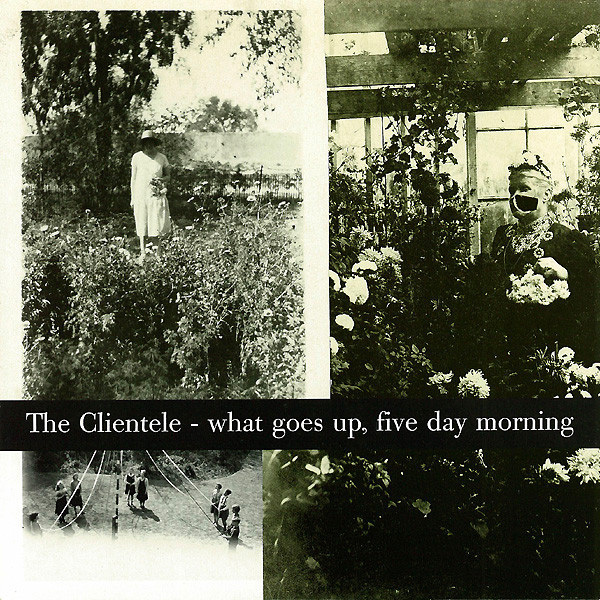 Taking cues from the Velvet Underground and Galaxie 500, and tossing in a bit of psychedelia, the Clientele make a pre-Swinging London type of sound that feels wholly rustic and nostalgic hearing their songs is a little like looking at an old discoloured photo. They feel entirely British, too, despite the fact that they are way more popular in the United States than they are at home, which has to be something of a first for an indie British band. 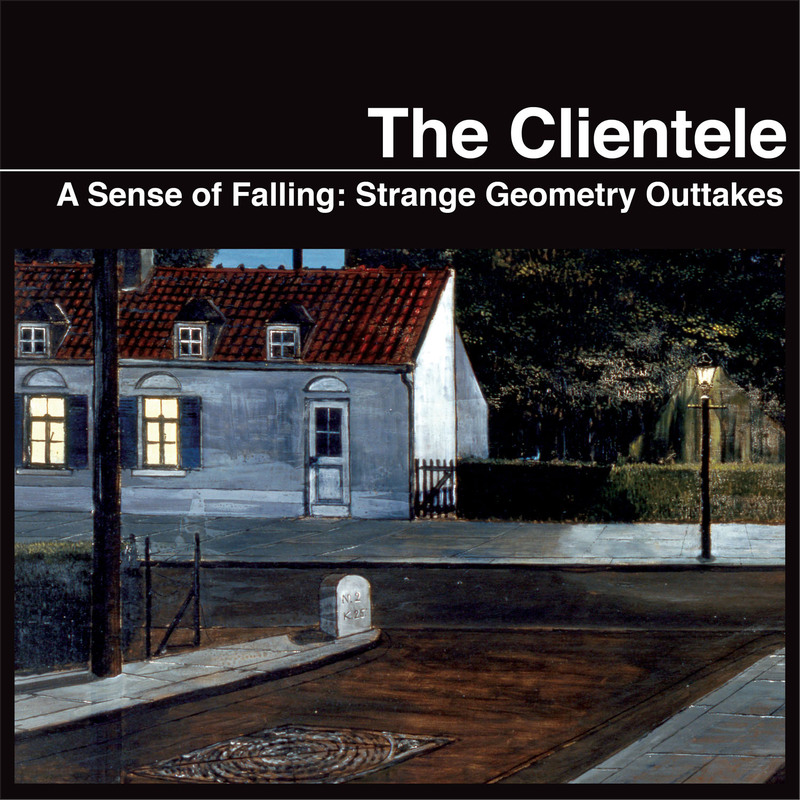 Releasing five proper albums from the year 2000 to 2009, the Clientele have been on an extended hiatus though there is the tantalizing prospect of a new album coming, maybe, and thats a shame because they are just so damn good. 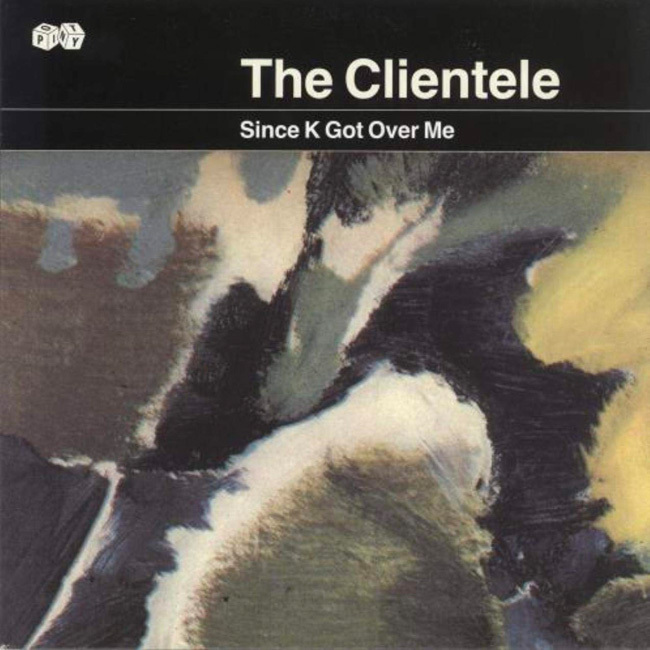 If Since K Got Over Me means nothing to you, then Alone and Unreal: The Best of the Clientele is a must have. If you ever wondered what it would be like to score a car commercial for a Buick, this group would easily provide that soundtrack their style being so lush, debonair and literary. The kind of thing an old guy would drive. Alone and Unreal works because it goes through the bands back catalogue in chronological order. Thus, you hear just how the group grew and matured over time, going from a Velvets-inspired, hissy underground item to a much more commercial-sounding group that flirted with string orchestration and, on Bookshop Casanova, dayglo material suited for a very stylish discotheque. Yes, Alone and Unreal is just 11 songs long and is missing some outstanding stuff in favour for the straight-ahead go-to material, their best song (in my opinion) The Violet Hour is absent from this. Yes, this collection basically makes the case that everyone knows: 2005s Strange Geometry is their best album, culling three tracks from that disc, including the loopy spoken-word piece Losing Haringey (which somehow makes more sense on this compilation that it ever did buried towards the end of Strange Geometry). Still, Alone and Unreal is a fabulous disc, particularly for the neophyte as it does include the bands better known material, such as Since K Got Over Me (their second best song) and Bookshop Casanova (probably their third best song). Talking about the tracks on this disc is a bit of a moot point, because all of them have seen the light of day, and theyre all relatively so new, if you can call songs six to 15 years old new. (I guess it just seems like yesterday when I was first exposed to this band.) Even the new song, On a Summer Trail, was released last year as a single, so thats been out there and exposed. No need to talk about that song or the rest. They still stand on their own, and work well together in this round-up, making this seem like a new album of simply old material freshened up a bit. I havent seen the sales figures, but The Clientele are reportedly more popular in the US than in the UK. I wondered about this, and recalled bands I thought played in the same idiom, and did in fact garner popularity in the UK, like Belle & Sebastian and The Chameleons. 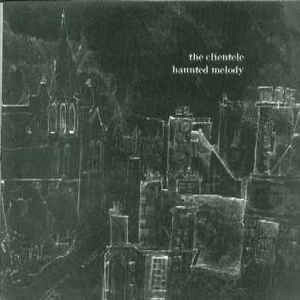 The Clientele are sometimes benignly described as pastoral, a descriptor that could be mistaken for meaning diffuse or even insipid. 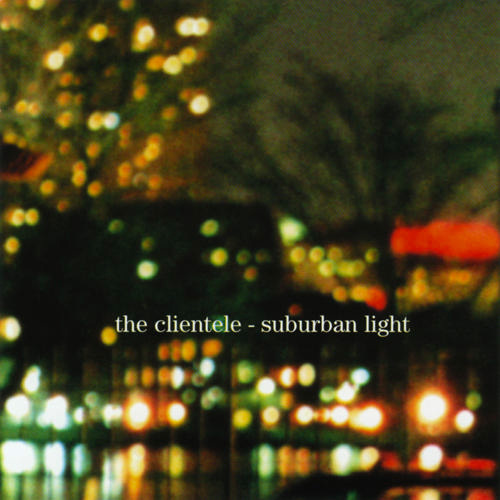 The Clientele are, in fact, quite dynamic, but dynamic in the sense of being beautiful proponents of the song; a Byrdsian quality of layered harmonies and chiming guitars. For instance, listen to Never Anyone But You, taken from Bonfires of the Heath, a really gorgeous pop song which recalls the 1960s, but only in the sense of being beholden to the melody, doe-eyed and uncynical. 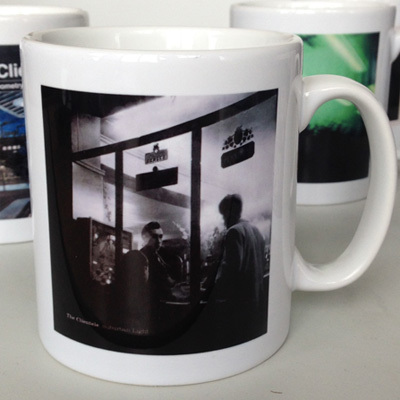 Here, The Clientele show themselves as romantics, teasing emotions that break down even the most hardened indie fan. However, back to their popularity in the U.S. While listening to this best of album, Alone and Unreal, a number of references decidedly American came to mind. The exquisite good vibrations of The Jayhawks, the wide eyed innocence of Davy Jones in the vocals (I Cant Seem To Make You Mine), and the delicate hushed tones of Joey Burns from Calexico (On A Summer Trail). I was also reminded of the sweet alt-country cadences of Jeff Tweedy and Wilco (The Queen of Seville). Alone and Unreal takes two tracks from the early singles collection, Suburban Light (Reflections After Jane and We Could Walk Together) early low-fi and unapologetically mellow tracks which veer towards the urbane in effect, but unpolished in execution. The deeply recessed and echoey ambience almost seems a contrivance. They are however, sweet pop songs. Missing is lifted from The Violet Hour, and The Clientele are beginning to sharpen their hooks. 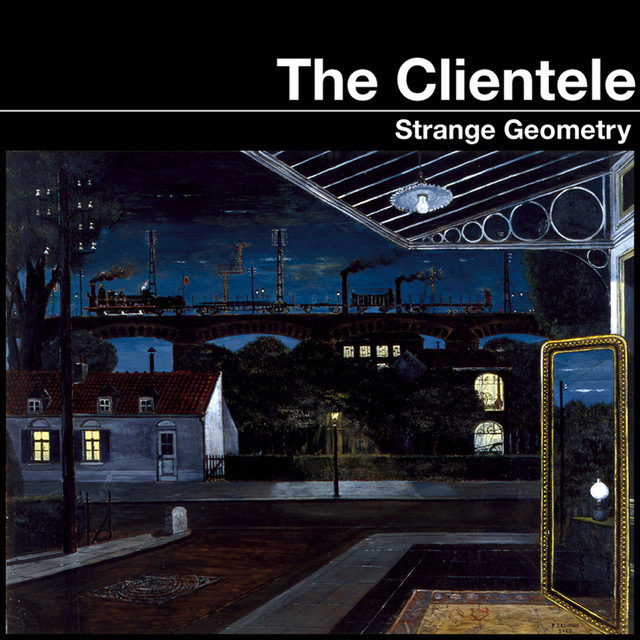 Strange Geometry from 2005 contributes the next three tracks. The songwriting finesse was well in evidence by then, almost deliriously on Since K Got Over Me the vocals more confident, more strident and forward in the mix, and the harmonies are flawless. The guitars chimes like R.E.M circa Gardening at Night. 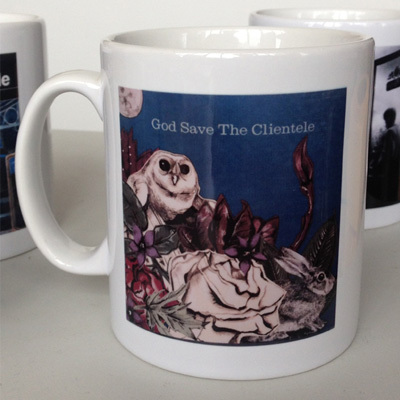 By Bookshop Casanova on God Save The Clientele, the band were comfortably in their own niche, having long etched a professional pop sound distinctly theirs alone. Unreal.